This thread is dedicated exclusively for those students currently enrolled in the InterNACHI online video course "General Roof Inspection." After successful completion of this course, the student will be able to perform a residential roof inspection and recognize general roof defects. 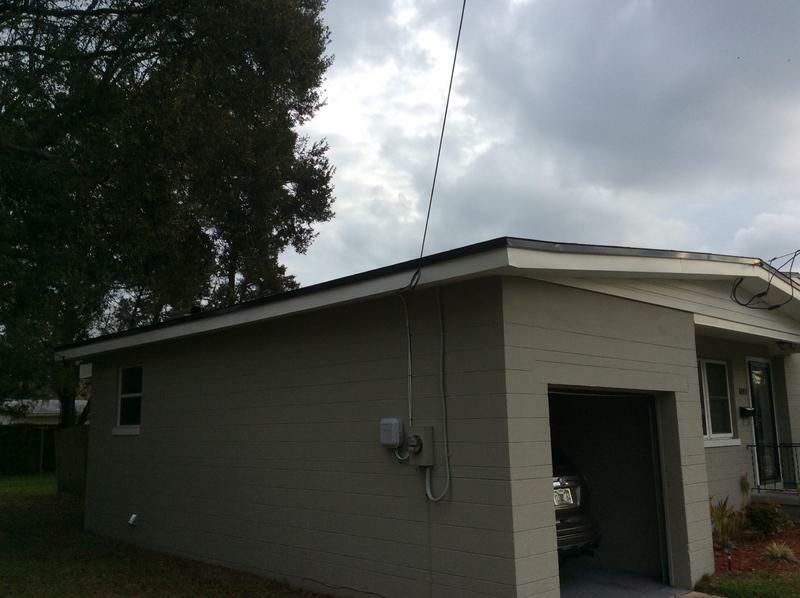 Upon observation the roof, we noticed that it was dry and relatively clean. The roof appears to have positive drainage to the 4 scuppers located in each of the corners. starting the general roofing course. Hope to get some good info. My cousin is started this course last month. I am a professional writer and working for custom essay writing service. I am planning to do this course. I did my roof inspection and found some missing shingles, no Ridge cap(but the interior was cut for it) it was shingled over. As well as some minor abrasions where the tree branches were rubbing. typical truss roof on addition with an over frame onto original house. Here is an example of wood in contact with the roof surface as well as accumulation of debris which will hold moisture in contact with the wood siding and roofing material. This and the lack of guttering and downspouts were mentioned in the report along with the need to repair the chimney rain cap which showed cracking. We have an improperly installed flashing boot. 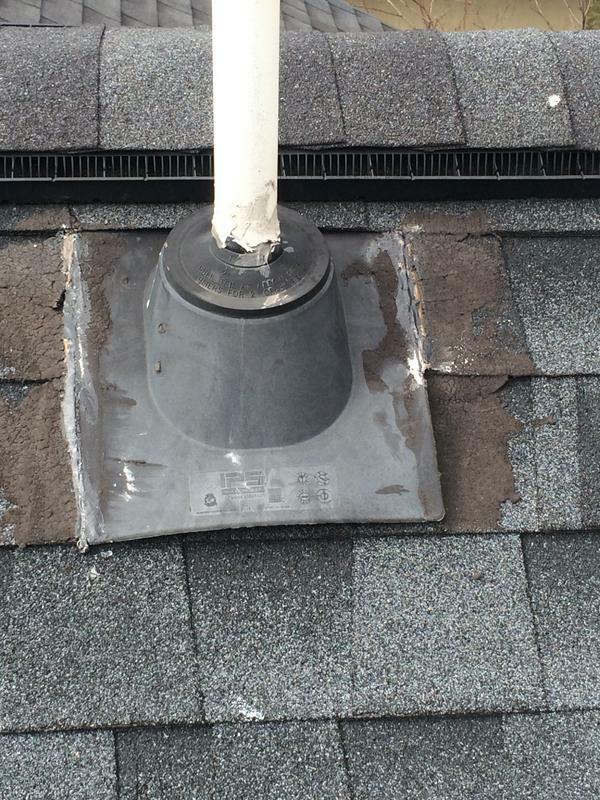 The installer failed to lap the roofing materials over the boot flange, leaving exposed edges. This failure makes the penetration susceptible to moisture penetration and premature wearing of surrounding materials.